I found this tag on Thrice Read and since my life is really busy and I have very little time to post, I thought it would be the perfect post to do. Since this is called the Rapid Fire Book Tag, all my answers are going to be short and sweet. So, without further a do, lets get onto the questions! I love hardbacks! I’m one of those peolpe who find them way easier to read, plus they look gorgoeus. I love online book shopping. My favourite thing is when you come home from a long, tiring day and there’s a package waiting for you at home. I prefer series. I love the journey that you can take over a number of books. Sommetimes a trilogy is way too short. Both. I love heros like most people but some villains are really fasinating. Akarnae by Lynette Noni. I was going to say any Sarah J. Maas books but Akarnae is really underrated and I just want evryone to read it! Once again, my answer is going to be Lynette Noni. She is such an increbile author and it makes me sad to think about how underrated she is. I just finished my re-read of The Lost Hero by Rick Riordan. I’m almost finished The Son of Neptune. I don’t tend to use weird things as bookmarks. I have a container full of bookmarks at home so I never begin a book with a bookmark. I also have bookmarks in my bag when I leave my house and bookmarks in my locker at school. I am always prepared. Fantasy, Sci-fi and mystery. I would say young adult but when I say my favourite genres, I combine both young adult and adult books within a genre if that makes sense. Buy. I have been trying to borrow more books from libraries recently but instead I have been left with a list of books that I enjoyed so much that I really want to buy them. I’m going to stick with buying from now on. A bit of both. I can’t enjoy a book if the plot is horrible but the characters are great and I can’t enjoy a book if the plot is great but I don’t like the characters. I do prefer books that will make me laugh but in all honesty, I am a sucker for books that will make me cry. Definitely fictional worlds. The reason why I love reading is because I am able to escape this world. Contemporaries are too close to home so I tend to avoid them. I used to hate them but recently I began listening to the Hero’s of Olympus series and I am really enjoying it! I am still undecided on whether I fully love them but I do want to continue listening to them so I will say yes at this current moment. I definitely do. If I am at a bookstore, I only really look at the covers or spines that stand out to me. 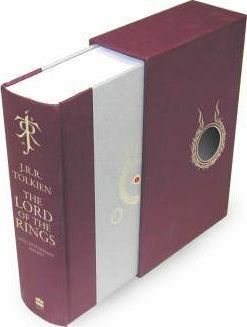 Book covers are made to make an impression on us before we read the book so of course it is normal to judge a book by it’s cover. I’m not ashamed to say that I do. I don’t however buy books based on their cover but it will influence whether I look at the book or not. I prefer book to movie. While they may not include everything, I feel like tv shows stray from the plot of the book to create more seasons for the tv show. The Fault in our Stars. I don’t like the movie but I was able to watch the entire thing, unlike the book which I dnfed. I really enjoy series. I find it difficult to enjoy standalones since so usually so much will happen in the book and the character development isn’t as good as those in series since there isn’t as much time to do so. I’m sure there are some amazing standalone books with great character development but I just prefer series. Sorry I tagged you and you’ve already done this tag. You can just ignore it. If I didn’t tag you but you want to do this tag, consider yourself tagged! Thank you so much for reaing this post. I apoligise that I havent been posting as much lately. I have very little time to spend on here, let alone write a post. I am hoping that in the coming week, I will have a special review, giveaway and author interview up. I hope you all have a wonderful week! I shall talk to you all on my next post. The Pokémon Go Book Tag was created by Aentee @ Read at Midnight. (The graphics were also created by Aentee) I saw this tag when it was created and it looked like so much fun! How lucky was it that I was tagged not only by one person but two! Thank you to Julia @ Picnic Reads and Kristy @ Book Nerd Reviews for tagging me! I can’t remember. I began reading when I was really young. It’s something that’s always been there. The book however that I got me into young adult fiction was The Hunger Games in 2013. Before that I was more of a person who read every now and then. I still loved reading but it wasn’t something that I did often. After reading The Hunger Games, I really got into reading. I will always love The Lord of The Rings. I only read the books recently but it has had a large impact on my life and I can tell that it will for a long time to come. There will never be a moment where I don’t love this trilogy. I’ve began to loose interest in the Fifth Wave series. I have read the Fifth Wave and I started to read the Infinite Sea but I can’t get into it and I’ve heard so many things about the book series that it’s making me almost not want to finish it at all. I honestly can’t think of anything argh. The Mortal Instruments. I technically have started the series but the size is something that is stopping me from reading them. I really do need to start reading the series because I also own Lady Midnight and I really want to read that book. A lot of books have kept me up until the late hours of the morning but I’m going to have to say A Court of Thorns and Roses by Sarah J Maas. I remember starting that book at around 11pm and finishing it in a matter of hours. Luckily I read it in April so the wait for the next book wasn’t long. I have so many but I’m going to have to say Everlark, mainly because it was my first OTP and it’s still one of my favourites. The amount of everlark fan fiction I read is kind of ridiculous. A few other favourites of mine are Feysand, Rowalien, Doriena, Cinder/Kai (I don’t know their ship name…), Blue/Gansey and Harmonie. The selection series is definitely a fast and easy read. I finished the first three books in less than a day. If you are looking for something light and quick, I would recommend this for you. I will never get tired of seeing spin offs for Percy Jackson. I love the characters and world that Rick Riordan created. I don’t think there will ever be a day when I’m tired of his books. I love them all so so much! The Tyrlle trilogy. I read the books quite a while ago but I remember that it was a wonderful series. I don’t think I would love them nowadays but when I read them, I found the series to be wonderful. I am definitely looking forward to continuing the Mortal Instruments series. I have read the first book and I do think that they are really overhyped but I am still excited to continue with the series when I have the time. There are so many books arghh! I am so excited to read Timekeeper by Tara Sim. The book comes out on November 1st of this year which is annoying since I wont be able to read it until December because of Exams but I am still very excited to read this book. Sarah J. Maas, Rick Riordan, J.K. Rowling, Marissa Meyer, Maggie Stiefvater and Cassandra Clare. I honestly feel like I’ve been waiting forever for Empire of Storms by Sarah J. Mass. I can’t wait to get my hands on this book! I’ve pre-ordered it and it’s going to come signed! The anticipation for this book is overwhelming. That’s it for the Pokémon Go Book Tag! Thank you all for reading this post and comment below on any thoughts you have on this post. Okay, now onto tagging people. I don’t tag anyone in particular so if you want to do it, I tag you! I also tag anyone whose name begins with the letter E or their last name begins with the letter B. 1. Love triangles… I find them really unrealistic and annoying..
2. Books that have a rushed ending. I really dislike when books which are building up to a certain event have rushed endings. 3. Long series. Around 7-8 books is the maximum amount of books that I like in a series. I really don’t like when series have 15 or something books. It really puts me off starting the series. I have a heap of spots that I love but I have two spots where I love to read at a regular basis. my first one is in my bed, snuggled up in my blankets with a cup of tea or hot chocolate. My other perfect reading spot is in front of the fire in my living room sitting in a bean bag, covered in a blanket with a cup of tea or hot chocolate. 3. I haven’t read the lord of the rings *gasp*. I find them really intimidating and my dad constantly reminds me that I need to read the books which makes me almost not want to read them. I got tagged on my instagram account to do the unpopular book opinions tag! If you’re reading this, feel free to do the tag as well! Anyway, here are my unpopular book opinions. I’m not sure if its really popular but I really struggled to read the shatter me series. I found the characters really annoying and the plot was average at best. The love triangle made me want to throw the book out the window. There isn’t really one. All the series that I love aren’t series that most people hate. I cant think of one. I always like the person that is chosen for some reason. Im not a huge fan of contemporary books. I prefer books like fantasy and sci-fi where I can escape the world into another one entirely. Contemporary books are too realistic for me but are somehow at the same time so unrealistic. So many contemporary books I’ve read have events happen that would never happen in someone’s life. I struggle to read John Green books. I’ve tried reading a few of his books but I’m yet to finish one. They’re really cliché and honestly so predictable. I might try to read them later on but at the moment, I’m not really fussed about his books. I absolutely hate love triangles! They rarely happen in peoples lives so they are honestly so unrealistic and quite annoying. It’s not that hard to choose one honestly! and if you don’t like one, you can always go out with the other later if the character feels like it. Authors may think that it’s interesting but its one of the most annoying things, especially if it is the main focus of the story. I don’t have a series that I’m not interested in reading. I never like to judge a book before I read it, otherwise id be a very picky reader. An example of this would be The Selection series. It’s not my usual type of read and if I was picky, I wouldn’t have read it but when I read it, I found that I enjoyed it! The saying goes, “The book is always better than the movie” but what movie or TV show adaption was better than the book? I honestly cant think of one. The books are honestly always better for me, mainly because the movie or TV shows leave so much out. If I had to choose a movie or TV show that was close to being as good as the book, I’d have to choose Catching Fire. It was done so well and it stands as my favourite book to movie adaptation.